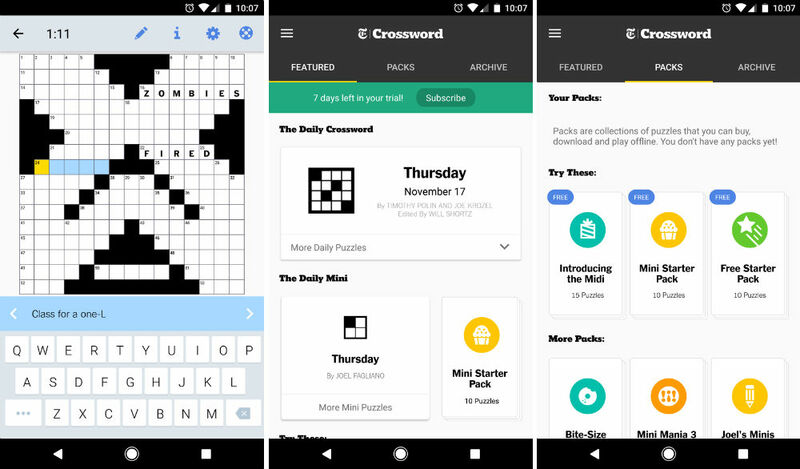 The New York Times has launched an official Crossword app for Android, bringing years’ worth of puzzles straight to your device. With the app, access to the daily puzzle is available, as well as daily mini puzzles. If you need even more Crossword action, you can dive into NYT’s Crossword archives which contains 20+ years of puzzles. On top of all that content, NYT is also offering themed puzzle packs, where the first puzzle is free. For any following puzzles, you will need to subscribe to the application. On the downside, access to all of these puzzles is not cheap. Once you download the application, your free seven day trial will begin. After the trial ends, a price tag of $6.99 a month will hit you, or an annual price of $39.99. With a subscription, access to all of the puzzles is available, plus any upcoming puzzles NYT adds. Check it out if you love that NYT Crosswords.